When talking about Hydroponics, we cannot miss talking about the Deep Water Culture technique. As true Hydroponics in its purest form, Deep Water Culture is definitely among the easiest yet most effective type of Hydroponic systems. Even though the concept is simple, there are many ways to use and build the deep water culture using different materials. 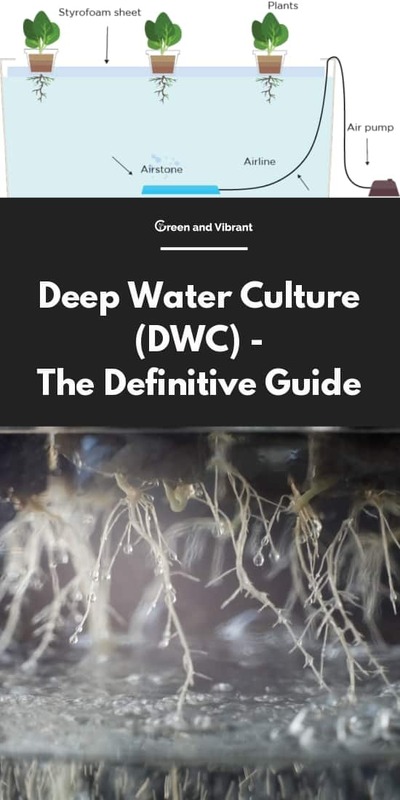 As the name sounds, DWC – Deep Water culture or Direct Water Culture is a hydroponic growing method that sustains plants roots in a well-oxygenated solution full of nutrients and water 24/7. This is unlike other hydroponic techniques like the Ebb and Flow, Aeroponics, Drip System, in which plants are only watered on a constant basis. By “deep”, it means that the roots must be submerged deep in the water. The reservoir that contains the plants must hold a good amount of water. The more water there is, the more stability in the nutrient solution and the less maintenance, and monitoring. While in other systems, plant roots are hung, exposed in the air and are watered continuously, in the deep water culture, they are sunk in the water which has been oxygenated 24/7. Some of you may fear the chances of your plants become suffocated by too much water. You may have seen some of your plants become dead when over-watering. That's true, but it's not the case in the DWC (or any hydroponic methods). Besides water, when you can provide plant roots ( with enough oxygens, and provide an appropriate environment (temperatures, nutrients, lights), plants will survive, and thrive. What you need in a system full of water like the DWC is oxygen. DWC solves the oxygen problem by using an air pump, or falling water so that there will be air bubbles rising up from the nutrient solution, and the dissolved water in the reservoir. In DWC, plants absorb sufficient oxygen while also able to take up the nutrients and water around it all days. This helps them to get a fast growth, and in many cases better than grown in the soil-counterparts. As the plants' roots are in the water 24 hours a day, it's utmost important that you must keep the air pump and airstone runs 24 hours a day too. A lack of these equipment means that plant roots will suffer from being waterlogged and run out of oxygen. And death will be expected. Let's illustrate the real process. You can see in the image above. An airstone connected with the air pump via the airline is placed in the reservoir. Nutrients and water are added to it. The plants are placed in net pots above the nutrient solution in the reservoir. A net pot basically looks like a cup that is made from reusable and rigid plastic mesh. This mesh allows your plants to have a strong and robust root system. If you have a normal cup with a hole in the bottom, there will only be one direction for your plants' roots to grow. But with net pot, you can actually have roots spreading out from all different areas of your net pot. This is very great because it promotes a vigorous root system. Once your roots hit the nutrient solution, you will witness an explosion of growth. Thanks to this system, instead of your plant roots having to find water pockets in the soil, they can absorb the nutrients and water right away. 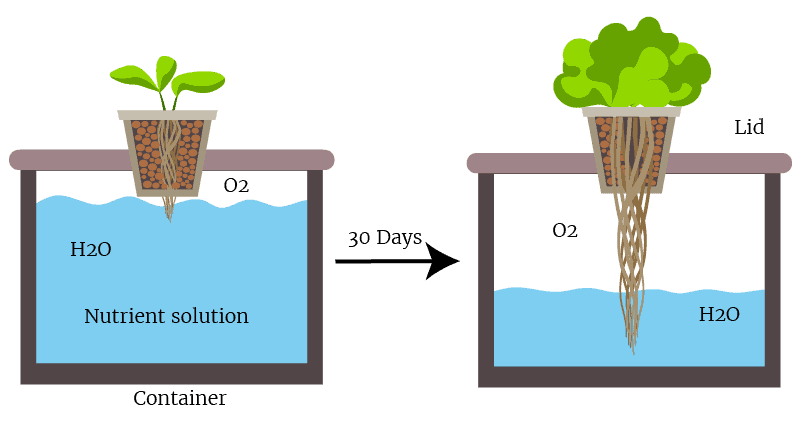 If the water is properly oxygenated, the plant roots will have no trouble remaining submerged deep in water for the whole life cycle of the plant. The plant roots don’t suffocate because they get air and oxygen from the bubbles rising through the nutrient solution and the dissolved oxygen in the water. In the deep water culture system, the more air bubbles, the better. There should be enough bubbles to make the water look like it is boiling. As the air bubbles rise to the top of the water to be most effective for the plants, they should rise up through and make direct contact with the roots. There are two methods to provide aeration and dissolved oxygen to the nutrient solution: air bubbles or falling water. 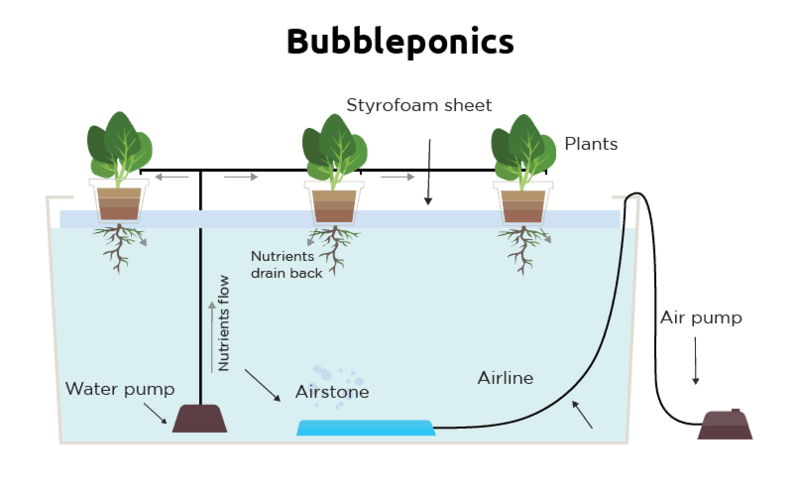 In water culture systems and other types of hydroponic systems, air pump and airstone are used to create air bubbles to the nutrient solution. The air pump is connected to the airstone with an airline and is used to provide the air volume. The airstone is made of rock-like material and has small pores which create small bubbles that will rise to the top of the water. You can also use a soaker hose, which creates smaller bubbles than airstones. The smaller air bubbles, the better aeration they provide for the nutrient solution because they have more contact surface with the water. The contact between the air bubbles and the water replaces the dissolved oxygen absorbed by the plant roots. This method is not very popular in at-home water culture systems. With this method, the surface agitation produced from falling water splashing around will create aeration for the solution. The larger the volume of water and the higher the water is falling, the more downward force it produces when it hits the water’s surface. The stronger the downward force is, the deeper the agitation and the more dissolved oxygen there is. This method is more popular in commercial water culture systems because they use a larger amount of water than home growers do. This video shows you how falling water looks like. Besides the traditional Deep Water Culture, as explained above, there are some varieties of this system type. Bubbleponics is just like the DWC with the same set-up, and equipment (air pump, airstone). It only upgrades by adding a water pump inside of the reservoir to move the nutrient solutions to top of net cups that hold plants and then fall back to the reservoir. That means Bubbleponics is a top feeding DWC and a recirculating system. 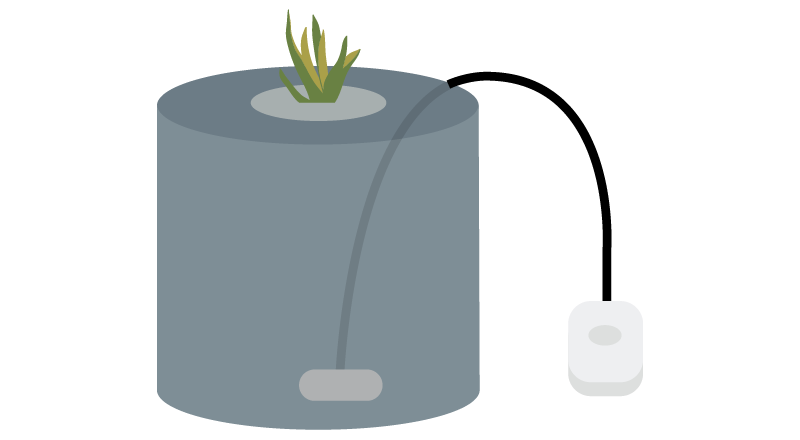 Bubbleponics proves to be useful at the beginning phase of your plants when the roots are still short, and cannot fully reach the water below. Providing with nutrients and water at this stage helps the roots grow faster, and when they can sink deep into the reservoir’s nutrient solution, there is no advantage anymore. But Bubbleponics is really worth doing as it does speed up the seedling and germination phase of your crops. Basically, the Kratky Method is the Deep Water Culture, but it comes without a pump. This is a passive system with no electricity used. So how do the plants get nutrients and oxygen? The key here is to leave an air gap between the roots and the surface of the nutrient solutions. That means parts of the roots are submerged in the waters while the other parts are exposed to the air. To learn in-depth about this exciting hydroponics system, you can read our past post here. When the traditional DWC has its own downsides and cannot scale big, that’s when the recirculating deep water culture is created. It works like a flood and drain, but the nutrient solutions never drain/get out of the system. You can have many buckets/containers, and they must be connected the big central reservoir. The most significant advantages are that you can scale big, and you only have to add water, oxygenate, and calibrate the central reservoir. Water and nutrients that feed the plants will be circulated from one bucket to another. Typically, you should grow 1-3 plants per bucket. More than that and it can bring a threat of the roots clogging the air stone, and less oxygen absorbed per plant. The plants that are most suitable to grow with deep culture systems are anything that doesn’t have to flower including many varieties of lettuces and lots of different herbs. These plants grow super fast and healthy. Besides that, you can also grow tomatoes, peppers, and even larger fruits like squash even though they take a bit more effort. 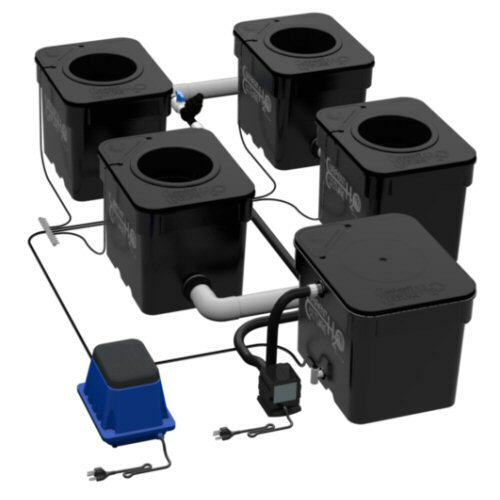 The easiest method you can start with a first Deep Water Culture is to get a full system kit online. Here is a great one. If you would rather go DIY, here is the equipment you need. You can also find below steps to build this hydroponic system. You can buy these tools at your local hydroponics or gardening supply store or online. There are a few words about choosing a reservoir. You should not get a lighter color plastic one as light can pass through it. This will encourage algae to grow, affecting the roots’ health. Firstly, you need to fill your reservoir with the hydroponic nutrient solution that is just above the base of the net pot. Then, check the pH level of your system. Keep it in the range from 5.5 to 6.5. If it drifts from the above level, you need to adjust it by using some pH kits on the market. Now you need to connect the air pump to the airline, the airline to the airstone and place the airstone in the reservoir. Place the plants which have visible roots growing out of the Rockwool into the reservoir. You can either surround your plants with aforementioned expanding clay growing media or growing media of your choice. Turn on the air pump. When the plants are still young, the Rockwool needs to make contact with the nutrient solution and absorb the nutrients from it to water up to the plants. As the plants mature, the root system will develop, absorb more nutrients and the level of nutrient solution can be reduced. Therefore, every 1-2 weeks (generally the longest you should wait before changing your nutrient solution is three weeks), you should remove your plants from the reservoir to replace and refresh the hydroponic nutrient solution, then place the plants back in the reservoir. The nutrient concentration, water level, and PH may fluctuate wildly in small systems. Any types of mineral nutrients work well in the DWC. Many growers also use organic forms, and it still produces good results with some drawbacks. If you are an experienced hydroponic grower, you can go with the nutrients of your choices. But for starters, and for ease of growing but still get the best results, I recommend any nutrients made for Hydroponics (not the multi-purpose nutrient package for plants) and stay away from organic nutrients. The 3-part liquid flora of General Hydroponics is my choice. It is relatively inexpensive, very easy to use, convenient and can be mixed at different amounts to suit a variety of plants. What types of the DWC should I start first? If you are a beginner, I recommend that you try with the traditional DWC or the Kratky method. These are very easy to set-up, inexpensive while still producing excellent yields that you would enjoy. Start small you get started. You can grow large later after you have got enough experiences. What is the specific pH and EC/TDS/PPM for DWC? The suggested pH level of all types of plants are from 5.5 to 6.5, depending on the growth phase, and species of plants grown. 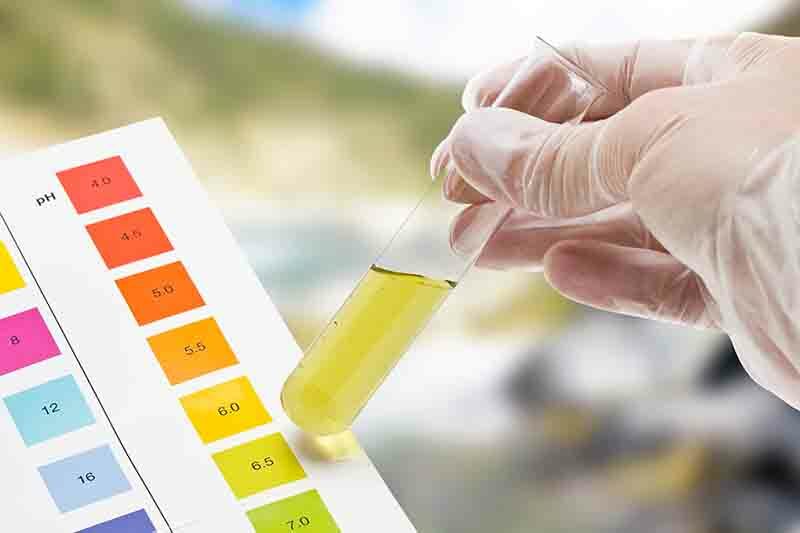 Usually, vegetative crops or crops that are in a vegetative phase need pH in the upper end, while fruits or plants that are in a flowering period require the bottom end of the pH level suggested above. Regarding PPM/EC level of the system, it's advised that you always mix in lower amounts than the suggested dosage mix of the hydroponic nutrients. You can follow your plant's response and adjust accordingly later. Understand that plants take up a significant amount of water, but they don't absorb many nutrients. In this sense, when the nutrient solution in the reservoir declines, the nutrient concentration can reach a higher level, which can be harmful to the plants. What is the appropriate temperature of the nutrient solution? One common issue that most growers face in the DWC is the heats in the system caused by the pump. Meanwhile, the temperature in the growing area also adds heats. Too warm and it will decrease the oxygen level in the system. Meanwhile, when the roots get too cold, this will stun your plants' growth. How often should I change the nutrient solution of the reservoir? I don't want to sound general, but that does depend on the type of system used, its size, kinds of plants grown, their growing phase. Usually, I will replace the nutrient at least once per week. In other types of DWC like the Kratky Method, you can keep it up to 3 weeks, but it's better than you should check the solution regularly. When the pH is too low/too high, or the nutrient solutions completely change color, time to replace it. How deep should the roots be in the water? You should only submerge the root bare into the nutrient solution. Keep the stem expose to the air. And no need to wholly sunk the roots. Keep about 1.5" of the roots above the water. These dry parts will help take up more oxygen from the surrounding environment. How do I measure how much oxygen in the nutrient solution? The best and easiest way to do that is to get a dissolved oxygen meter on the market. But bear in mind that the good one is not cheap while the budget meter is not reliable and long-lasting. And unless you are a hobbyist, commercial growers, or you want to grow on a large scale, I don't think you need it. Just ensure that the pump air pump runs continuously, and the temperature in the solution is always at the right acceptable level. What about lightning for DWC? Basically, if you grow outdoor with enough sunlight, it's great when plants can have sufficient light and have some rest at night when the sun it down. But if you grow outdoor, or your place lacks enough sunlight, time to get some. And don't turn on the grow lights 24/24, your plants need some rest too, just like human beings. 8 hours of darkness a day is fine. But in the case of the DWC system, unless you have a large-scale system or using an RDWC, I think it's better that you don't get the types of lights that emit much heat like HPs because your DWC has had enough heats from the pumps running endlessly. Get some cheaps low-heat bulbs of CFLs, or the expensive but effective LEDs. You can also go with the fluorescent tubes. 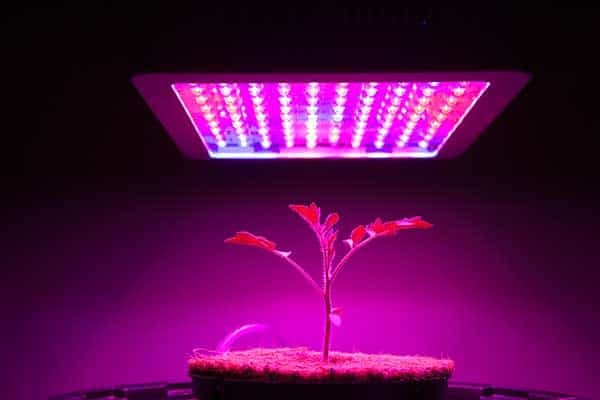 How much light you get for your growing set up is dependent on your growing area size, kinds of plants, their growth phase, and types of lights. Deep water culture system is the practice of growing plants in aerated water. Many growers consider this system to be the purest form of hydroponics. 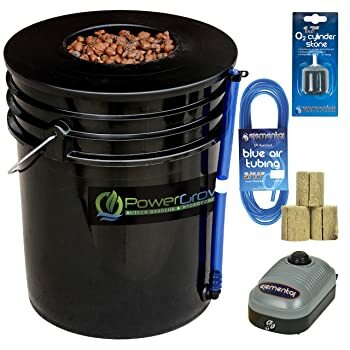 If you are a beginner in the field of growing plants with hydroponics method, this is a cheap (in comparison to other options) and simple DIY setup that beginners and more established growers both appreciate. With enough aeration in the water and the right temperature, the plant roots will thrive, and the growth rate and yields that this technique can achieve are phenomenal.